On Monday, President Obama signed an Executive Order outlining the paid sick leave benefits that many federal contractors will be required to provide as early as January 1, 2017. A wide range of federal contracts entered into on or after January 1, 2017, and any subcontracts entered into thereunder, will be required to include language under which employees will earn no less than one hour of paid sick leave for every 30 hours worked under covered contracts. (iv) domestic violence, sexual assault, or stalking, if the time absent from work is for the purposes otherwise described in paragraphs (i) and (ii) of this subsection, to obtain additional counseling, to seek relocation, to seek assistance from a victim services organization, to take related legal action, including preparation for or participation in any related civil or criminal legal proceeding, or to assist an individual related to the employee as described in paragraph (iii) of this subsection in engaging in any of these activities. Requests to use this paid sick leave are to be made orally or in writing, at least seven days prior to the request—or as soon as practicable if the need for leave is not foreseeable—and such requests are to include the anticipated duration of the employee’s leave. Covered employers may not condition an employee’s use of leave earned under the Order on an employee finding his or her own replacement to cover missed work. Employers also may not require certification from a medical provider of the need for leave under Sections (i), (ii), or (iii), above, unless an employee is absent for three or more consecutive days. 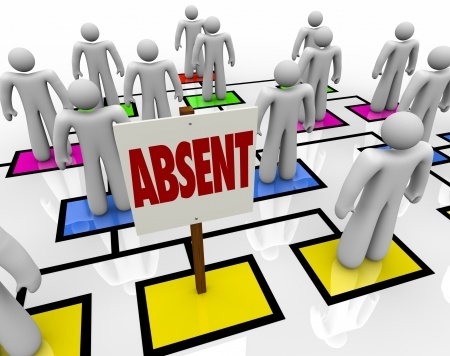 If an employee is absent three or more consecutive days for a reason covered by Section (iv), above, the employer may require a limited certification from an appropriate individual or organization. Covered employees must be allowed to accrue no fewer than 56 hours (approximately seven days) of paid sick leave each year and, as the Order is presently drafted, all such accrued but unused sick leave may be carried-over year after year with no limitation. Additionally, if an employee separates from covered employment, but is rehired within 12 months of the separation, the employee’s paid sick leave accrued under the Order as of the separation date must be reinstated. The Order does not, however, require unused sick leave to be paid-out to employees upon separation from employment. Federal contractors and subcontractors who already have paid leave policies need not make any changes to those policies, so long as an existing policy provides at least as much leave as the Order requires and that leave can be used for the reasons and under the conditions described in the Order. That said, paid sick leave under the Order is to be in addition to any prior obligations that an employer may have under other provisions of federal law. (ii) The wages of employees under such contract or contract-like instrument are governed by the Davis-Bacon Act, the Service Contract Act, or the Fair Labor Standards Act, including employees who qualify for an exemption from its minimum wage and overtime provisions. Independent federal agencies are strongly encouraged, but not required to comply with the requirements of the Order. The Executive Order also contains anti-discrimination, anti-interference, and anti-retaliation provisions, and calls for the Department of Labor to implement any necessary regulations under the Order by September 30, 2016. This entry was posted in Medical Leave, paid sick leave benefits and tagged employee absences, federal contracts, health care, paid sick leave on September 10, 2015 by smithamundsen.